Resistance 3 beta! El Shaddai, Driver demos! PlayStation Plus subscribers are offered early access to the Resistance 3 beta test today. You'll have a seven day head start on the general public, who'll be invited in on 17th August. For the general PS3 public today there are three worthy demos: Driver San Francisco, El Shaddai and madden NFL. 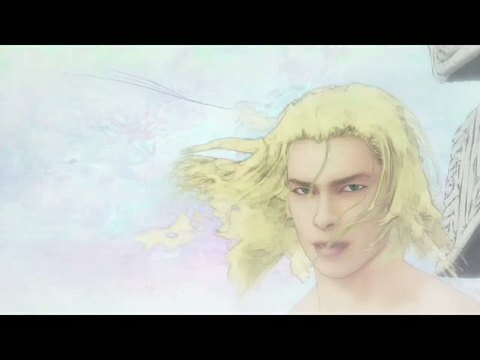 Eurogamer's Japanese import El Shaddai review awarded a sky-scraping 9/10. Do try. Full games today are Warhammer 40,000: Kill Team, Galaga Legions DX, Spelunker HD and, as we told you yesterday, the Spinter Cell HD Trilogy. Game DLC of note includes the additional Mortal Kombat 9 character Freddy Krueger, who you'll know as the knife-fingered butcher of Nightmare on Elm Street. Ol' green eyes is back.